The SEO industry in Nottingham is a thriving and ever-growing sector providing jobs for a number of it’s residents. Nottingham SEO agencies attract some of the best digital marketing talent from across the UK and these businesses are serving both nationally and internationally renowned clients. As an East Midlands based Digital Marketing Agency with great links to both London and the North of England, we at Studio-40 have clients that spread the width and breadth of Britain with a large number based in Nottingham. We’re based just a short drive down the A60 in Loughborough and we love to make the journey up to our clients in Nottingham whenever we can! As easy as an email can be or as quick as a phone call takes, both ourselves and our colleagues know that face to face meetings is where we really get under the bonnet of your business. Being located so close makes it very easy to stay in regular contact meaning that you will never be out the loop. We know that, as a business owner or executive, deciding on what type of online marketing is right for your company can be an arduous task… especially when there’s so much on offer! As a Digital Marketing Agency offering everything from SEO and PPC to Social Media and Remarketing, we have teams of experienced staff specialising in each service meaning we can deliver on whatever your business needs to succeed online. 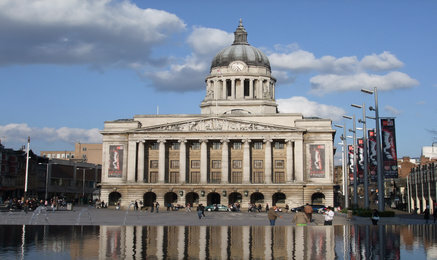 Nottingham has the largest urban area in the East Midlands and the second largest in the Midlands as a whole. The city was recently announced as the seventh largest metropolitan economy in the UK with roots in the tobacco, bicycle and lace-making industries. The Galleries of Justice Museum – A court and prison museum offering ghost walks and tours. The National Ice Centre – Home of Ice Hockey team the ‘Nottingham Panthers’ and ice skating/party venue. Rock City – Live music venue and nightclub. Nottingham Greyhound Stadium – Dog Racing track and restaurant . Nottingham Castle – Castle dating back to the 17th century with a museum and tours available. Ever heard of these? Here’s just a few of the big name companies that are based in the city of Nottingham: Next, Everards, Santander, Brantano Footwear, British Telecom, Caterpillar, Topps Tiles, DHL, Dunelm Mill, Jessops, Shoe Zone and British Gas. Not bad for a City that’s doesn’t even have one of the top ten biggest populations in the UK. 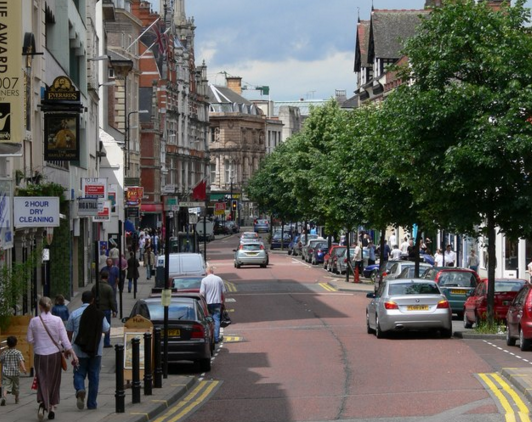 Despite not having the sheer volume of people that some of the larger cities in England have, Nottingham still holds it’s own when it comes to successful, famous and notable locals. Whether it’s in business, entertainment or even folklore, Nottingham has more than it’s fair share of talent. Vicky McClure – Actress best known for her work in the ‘This is England’ series. Take a look at our SEO Nottingham services in more detail or get in touch now!